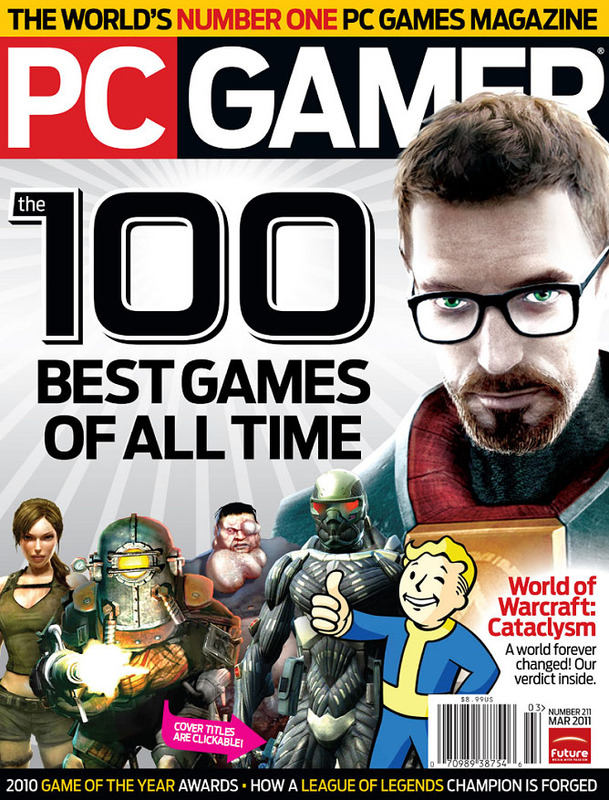 -The UK's best, and best-selling, PC games magazine. Trusted by both the public and the industry to deliver the most authoritative, honest, informative and entertaining reviews, PC Gamer is the ultimate buyers' guide to both PCs for gaming and games for the PC. PC GAMER US: the #1 PC games magazine. The latest game reviews, gaming news, tips, tricks and strategies to get the most out of your computer gaming experience. PC Gamer - a magazine founded in Great Britain in 1993 devoted to PC gaming and published monthly by Future Publishing. The magazine has several regional editions, with the UK and US editions becoming the best selling PC games magazines in their respective countries. The magazine features news on developments in the video game industry, previews of new games, and reviews of the latest popular PC games, along with other features relating to hardware, mods, "classic" games and various other themes. Во всем мире люди приобретают компьютерные игры, руководствуясь оценками журнала PC Gamer. На 3-х континентах журнал работает как действенный, проверенный временем фильтр: отсеивает проходные электронные утехи и ведает о тех, на которые вправду стоит потратить вечер либо недельку вашей единственной жизни. PC Gamer is a magazine founded in Britain in 1993 devoted to PC gaming and published monthly by Future Publishing. The magazine has several regional editions, with the UK and US editions becoming the best selling PC games magazines in their respective countries. The magazine features news on developments in the video game industry, previews of new games, and reviews of the latest popular PC games, along with other features relating to hardware, mods, "classic" games and various other topics.